Award: Single, Double or Full Time? Sleaford Joint Sixth Form Making Good Decisions Which statement best describes you? Use the chart to help you make the right decisions. Good at exams? Understand complex concepts? Better at coursework? Understand more easily when things are linked to real-life? Which is the best path for you? 3 A Levels or a mixture of A Levels and vocational courses Possibly plus Extended Project Qualification Grade 6 is required for academic A Levels. For many, Grade 7 is an advantage. Vocational Level 3 Applied A Levels Fewer exams Still provides access to university. Worth 3 A Levels. 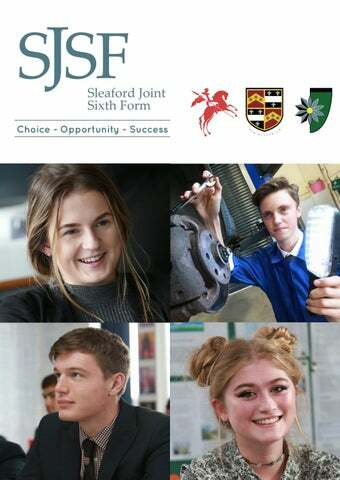 There’s something for everyone at Sleaford Joint Sixth Form Let’s work together to find the right path for you. 4. CTEC Level 3 Diplomas in Art & Design AIMS OF THE COURSE The CTEC Introductory Diploma is designed for students who are interested in Art and Design. The Diploma and Extended Diploma are for students who are more attracted to a career in the Art and Design industry. Any of the above courses prepare students for progression onto higher education. COURSE CONTENT The Introductory Diploma course is the equivalent to one A level, to be studied by combining it with two other A levels or equivalents. The Diploma is equivalent to 2 A levels, it can be combined as art and photography, or you can study just art. The Extended Diploma is a full time art course, worth 3 A levels, and is combined with photography. The course is based around one mandatory unit alongside additional specialist units which enable students to choose and study particular Art and Design subject areas in depth. These areas could cover printmaking, Fine Art, graphic design, painting, multimedia, 3D and large scale design. ASSESSMENT PROCEDURES All work undertaken throughout the two year course counts towards the final grade, there is no examination element. Candidates can be awarded a Fail, Pass, Merit, Distinction for their work. All work is assessed internally, standardised internally and externally moderated. CAREER OPPORTUNITIES Upon completing any of these courses, students could go into Higher Education to study at Foundation or possibly Degree Level in areas including Graphic Design, Advertising, Fashion Design, Textiles, Multimedia or Fine Art. Alternatively, students can use the qualification to enter into other areas of training. ENTRY REQUIREMENTS The minimum entry requirements for level 3 applied study apply. In addition, students must have achieved a merit or above at level 2 BTEC or a grade 4 or above in GCSE Art. Students learn by completing assignments that are based on realistic Art & Design studio and workplace scenarios, challenges and briefs. They are encouraged to realise their creative potential by applying their ideas, techniques and training to these problem solving assignments using a variety of different art practices. Critical and contextual studies of other artistsâ&#x20AC;&#x2122; work are also used to develop studentsâ&#x20AC;&#x2122; practical and theoretical understanding. CTEC Level 3 Introductory Diploma in Art & Design Photography AIMS OF THE COURSE The CTEC Introductory Diploma in photography allows those students with an interest in the subject to apply their knowledge, skills and enthusiasm and specialise in this area. It will give students the skills to go to university or seek employment in the industry. COURSE CONTENT The Introductory Diploma course is the equivalent to one A level, to be studied by combining it with two other A levels or equivalents. This course can also be combined with the Art Introductory Diploma, if desired, to make a Diploma, worth 2 A Levels, or even with a Diploma in Art to create an Extended Diploma, worth 3 A Levels. The course is based around one mandatory unit alongside additional specialist units which enable students to choose and study particular Photography subject areas in depth. These areas could cover digital photography, film-based photography, portrait photography, digital image creation and landscape photography. Critical and contextual studies of other photographersâ&#x20AC;&#x2122; work are also used to develop studentsâ&#x20AC;&#x2122; practical and theoretical understanding. Students learn by completing assignments that are based on realistic photographic studio and workplace scenarios, challenges and briefs. They are encouraged to realise their creative potential by applying their ideas, techniques and training to these problem solving assignments using a variety of different practices. This course boasts of having two fully equipped studios complete with an abundance of lighting equipment and cameras. We also have a brand new dark room for filmbased production. ASSESSMENT PROCEDURES All work undertaken throughout the two year course counts towards the final grade, there is no examination element. Candidates can be awarded a Fail, Pass, Merit, Distinction for their work. All work is assessed internally, standardised internally and externally moderated. Assessment methods include portfolios, projects, presentations and essays. This is a two-year course equivalent to one A Level. CAREER OPPORTUNITIES Students can use the UCAS points to apply to Higher Education or choose to seek employment. Candidates are well prepared for applications to study photography related degrees at university or seek employment in the photographic industry. COURSE ENTRY REQUIREMENTS The minimum entry requirements for level 3 applied study apply. A Level 2 BTEC/GCSE qualification in a creative subject would be an advantage. A Level Fine Art If you have enjoyed your GCSE in a Creative Arts subject and wish to continue to develop your creative visual skills at A Level, you have the opportunity to choose one of the three different Fine art courses that SJSF offer. It is essential that you contact, visit and look round the different departments directly to find out about each course and the different approaches and structure of each course, to choose the right one for you. All three courses are designed to develop your own ideas through the use of traditional and/or digital media, materials, techniques and processes for the purpose of selfexpression or reflection. Fine Art may be created to communicate ideas and messages about the observed world, the qualities of materials, perceptions, or preconceptions. It can also be used to explore personal and cultural identity, society and how we live, visual language, and technology. Fine Art allows us to consider and reflect on our place in the world, both as individuals and collectively. Possible disciplines within fine art: Painting and drawing Printmaking Mixed Medias and 3D Lens-based image making. starting points. The personal study will be evidenced through critical written communication showing contextual research and understanding in a minimum 1000 words of continuous prose, which may contain integrated images. 2. Externally set Assignment – Externally set theme, which makes up 40% of the A Level grade consisting of two elements: preparatory practical and critical work and a final outcome produced in the timed test, which is produced in 15 hours. Students will be given their exam paper in the first months of Year 2 and will complete the exam in supervised timed conditions for them to conclude their ideas with an outcome. ASSESSMENT PROCEDURES All work is internally marked and then externally moderated by the relevant board AQA/EDEXCEL/OCR moderator. Formal assessment points throughout the year are followed in the department in line with school policy. FURTHER STUDY AND CAREER OPPORTUNITIES Completion of an Art A Level can lead to working in the creative industries with careers such as; fine arts, advertising and marketing, architecture, crafts, product design, illustration, graphic design and fashion design, film, TV, video, radio and photography, IT, software and computer services, publishing, museums, galleries and libraries, performing arts and general visual arts or a creative subject can be used by students as a facilitating subject, which is desired in many different careers for independent thinking and confidence in problem solving. It is usual that students will follow a one year foundation course, or a direct entry place at a University course at the end of the A Level. ENTRY REQUIREMENTS If you are interested in taking art to A Level you must be committed and focused to the subject, having confidence and enjoyment in visual language. Enjoy taking risks, learning new techniques and thinking freely and independently. The minimum entry requirements for level 3 academic study apply. In addition, applicants will require a Grade 6 in GCSE Art along with a portfolio review. Please contact the individual schools directly and visit the departments to gain more insight into how each of the courses are differently structured. A Level Photography (Lens based medias) EDEXCEL AIMS OF THE COURSE Photography has been used by practitioners to record, document and present examples of everyday life, in ordinary and extraordinary circumstances. It has also been used as the vehicle for artistic expression, communicating personal ideas about the world around us. It is used to convey personal identity more widely than any other art form, is applied in the creative process across art, craft and design and is widely used in social, commercial and scientific contexts. The development of affordable lens-based technology has changed the way that both professionals and the public use photography. A LEVEL COURSE CONTENT AND SKILLS This course is focused on digital and darkroom photography, animation, video and digital media with Fine Art practical skills. This diverse and exciting course will equip students to make meaningful and high quality artwork in a variety of lens based medias. On the course students are given the opportunity to take part in our visual arts programme of activities which include working with practising artists and practitioners, life drawing, study visits to London and New York are just some examples from the busy visual arts calendar. If you are interested in taking Art to ‘A’ Level you must be committed and focused to the subject, having confidence and enjoyment in visual language. the first year. The foundation stage will equip students with fresh approaches and skills within lens based media, which they will bring into their personal investigation. Starting with practical workshops to build their skills in Lens based media, enabling them to make an individual and original interpretation from a given theme. 2. Externally set Assignment Externally set theme, which makes up 40% of the A Level grade consisting of two elements: preparatory work and a final outcome, which is produced in 15 hours. ASSESSMENT PROCEDURES All work is internally moderated and then externally moderated by an EDEXCEL moderator. Formal assessment points throughout the year are followed in the department in line with school policy. FURTHER STUDY AND CAREER OPPORTUNITIES Recent students have followed degrees in a range of different disciplines through direct entry at top universities such as Edinburgh/Glasgow/Norwich school of Art, Newcastle, Reading and Leeds and entry to foundation years at Art school. Completion of an Art A Level can lead to working in the creative industries with careers such as; Fine Arts, Advertising and marketing, Architecture, Crafts, Product design, illustration, graphic design and fashion design, Film, TV, video, radio and photography, IT, software and computer services, Publishing, Museums, galleries and libraries, performing arts and general visual arts. A creative subject can be used by students as a facilitating subject, which is desired in many different careers for independent thinking and confidence in problem solving. ENTRY REQUIREMENTS: If you are interested in taking Photography to ‘A’ Level you must be committed and focused to the subject, having confidence and enjoyment in visual language. Enjoy taking risks, learning new techniques and thinking freely and independently. The minimum entry requirements for level 3 academic study apply. In addition, applicants will require a Grade 6 in an Art/Creative specialism. A Level Business (Edexcel) Business qualifications are increasingly sought after by employers, and are a great platform for higher education. This course has a wide ranging syllabus, taking in global and domestic business practices, making it an attractive option for those seeking a broad introduction to the subject. THIS COURSE ENCOURAGES STUDENTS TO: •	Develop an enthusiasm for studying business •	Gain a holistic understanding of business in a range of contexts •	Develop a critical understanding of organisations and their ability to meet society’s needs and wants •	Understand that business behaviour can be studied from a range of perspectives generate enterprising and creative approaches to business opportunities, problems and issues •	Be aware of the ethical dilemmas and responsibilities faced by organisations and individuals •	Acquire a range of relevant business and generic skills, including decision making, problem solving, the challenging of assumptions and critical analysis •	Apply numerical skills in a range of business contexts. •	Globalisation. •	Global markets and business expansion •	Global marketing •	Global industries and companies (multinational corporations). PAPER 1: MARKETING, PEOPLE AND GLOBAL BUSINESS *PAPER CODE: 9BS0/01 Paper 1 is a written examination and will assess marketing, people and global businesses. Questions will be drawn from Themes 1 and 4, and from local, national and global contexts. Details: •	Exam Length: 2 hours •	Exam Weighting: 35% of the total qualification •	Questions: The paper has two sections, A and B. Students answer all questions from both sections Sections A and B each comprise one data response question broken down into a number of parts, including one extended open-response questions. •	Marks: 100 marks in total. PAPER 2: BUSINESS ACTIVITIES, DECISIONS AND STRATEGY *PAPER CODE: 9BS0/02 Paper 2 will assess business finance and operations, business decisions and strategy. Questions will be drawn from Themes 2 and 3, and from local, national and global contexts. Details: •	Exam Length: 2 hours •	Exam Weighting: 35% of the total qualification •	Questions: The paper has two sections, A and B. Students answer all questions from both sections. Sections A and B each comprise one data response question broken down into a number of parts, including one extended open-response questions. •	Marks: 100 marks in total. contexts. For Paper 3, there will be a pre-released context document issued. A new context will be given out each year and will relate to the examination series for the following summer. The context will focus on a broad context, such as an industry or market in which businesses operate. The question paper will be in two sections. The first section will focus on the broad context provided. This will be outlined to centres through the prereleased document. Questions will focus on the broad context. The second section will focus on at least one strand within the context provided, such as a particular business. Each section will contain unseen stimulus materials comprising quantitative and qualitative evidence. Students are required to apply their knowledge and understanding from Themes 1, 2, 3 and 4 and their understanding of the broad context to this evidence. Students cannot take any of their research or investigation data carried out as part of the pre-release into the examination. Details: •	Exam Length: 2 hours •	Exam Weighting: 30% of the total qualification •	Questions: The paper has two sections, A and B. Students answer all questions from both sections. Sections A and B each comprise one data response question broken down into a number of parts, including one extended open-response questions. •	Marks: 100 marks in total. ENTRY REQUIREMENTS The minimum entry requirements for level 3 academic study apply. In addition, applicants will require a Grade 5 in English and Maths. CTEC Level 3 Business AIMS OF THE COURSE This exciting new program of study aims to equip students with the practical knowledge and skills to become an effective business practitioner. The course focuses on the vocational and practical aspects of business management, developed through group activity and project based work. This modular course is available in ‘single’ or ‘double’ options. The course of study is very much ‘hands on’, with the emphasis on marketing, individual projects and team based working. COURSE CONTENT The CTEC Level 3 Business program will follow the new NQF syllabus. All courses are completed over a two year period. All ten units combine to make the double award. SKILLS REQUIRED Students will benefit from an inquiring mind and an interest in current affairs especially in the business world. The course is underpinned by the students’ own self-directed study and the creation of coursework portfolio units, which require self-discipline and an ability to write clearly and express ideas which are supported by research. A high level of student participation is expected in activities and visits. The ability to work well in private study and as a member of a team is a very big advantage on this course. ASSESSMENT PROCEDURES This course is assessed though the submission of self-directed coursework, presented as portfolios by students at the end of each unit studied, examination and exam board assessed assignments. CAREER OPPORTUNITIES Students taking this course progress to college or university to study a related subject or go directly into work in supervisory and management positions in a broad range of industries. The practical nature of the course assists in equipping students with the interpersonal and business skills valued by employers in the workplace across all sectors of industry. A core component of the course is the study and experience of setting up and running a small business enterprise and many students consider this as a longer term objective, supported by the knowledge and experience gained from the course. COURSE ENTRY REQUIREMENTS The minimum entry requirements for level 3 applied study apply. In addition, students will be required to have achieved at least grade 4 in maths. Grade 5 in maths and English would be an advantage for this course. This course aims to prepare students for a career in the Travel & Tourism industry and give an opportunity to develop transferable and higher order skills. The program of study is designed to introduce the theory behind tourism as a business specialism and to prepare for further study in higher education. Alongside this, students gain the practical project management skills associated with the research of four chosen project topics. Students will benefit form a genuine interest in the travel business, news and current affairs, especially events that relate to the tourism industry. An interest in geography is also very useful. This course is very dependant on the studentsâ&#x20AC;&#x2122; own self directed study and the creation of coursework portfolio units. This course calls for students to be very self-disciplined. The presentations that are given also require students to be prepared to develop their ability to write clearly and express ideas one to one and in larger groups. As such, the ability to work well in private study and as a member of a team is a very big advantage. COURSE CONTENT The course is modular in format with an option to take the single award, equivalent to one A Level, or the combined double award, equivalent to two A Levels. Double Award Diploma Additional Units Travel and Tourism Enterprizes Research Current Issues in Travel and Tourism The UK as a Tourist Destination Plus one Optional Unit All 8 units combine to form the double award. ASSESSMENT PROCEDURES The course comprises coursework portfolio assessment, externally set coursework tasks and examinations. CAREER OPPORTUNITIES Upon completion of this course students go on to study travel and related tourism management subjects. Often, students combine their interest in a foreign language or sport and go on to study a sport or international management course. In addition, students have taken employment and management training positions in the tourism industry across a range of sectors including Tour Operators, Airlines, Sports Centres and Hotels. COURSE ENTRY REQUIREMENTS The minimum entry requirements for level 3 applied study apply. In addition students are expected to have gained a BTEC Merit or GCSE, grade 5 in Business Studies or a similar related subject such as Geography. Cambridge Technical Diploma in Health and Social Care Level 2 There are a wide range of career opportunities across all sectors of Health, Social Care and Children & Young People. The course will equip you with the skills you need for either an apprenticeship, work or further study in this area as a first step towards a career in any of these sectors. The subject is taught by enthusiastic and committed staff who bring out the best in the students. The OCR Level 2 Diploma is a one year full-time course that consists of 4 mandatory units and a further 4 units decided by the tutors that provide for a combined total of 60 credits. Students will be required to undertake work experience in a related setting two days a week throughout the duration of the course. Opportunities to study GCSE Maths and English will be timetabled if required. Students are not required to have studied this subject previously. METHODS OF ASSESSMENT Students are assessed through their portfolio of coursework taken under controlled assessment conditions in school – there are no examinations. SKILLS REQUIRED A keen, enthusiastic approach to the subject is required and the ability to independently arrange work experience placements. Students will also be expected to work as part of a team, thus requiring good communication and presentation skills. Practical application of learning is a key skill to success. Cambridge Technical Diploma in Health and Social Care Level 3 There are a wide range of career opportunities across all sectors of Health, Social Care and Children & Young People. The course will equip you with the skills you need for either university or work, and is a first step towards a career in any of these areas. The subject is taught by enthusiastic and committed staff who bring out the best in the students. The O.C.R. Level 3 Diploma is a two year course that consists of 6 mandatory units, plus a range of Optional units that provide for a combined total of 120 credits, and is broadly equivalent to two A Levels. Students will be required to carry out two weeks of work experience in a related setting during this course. This course requires a commitment to the full two year programme as final accreditation is not available until the end of year 13. SKILLS REQUIRED A keen, enthusiastic approach to independent study is required, as well as the ability to write coherently and in-depth at Level 3. Students will also be expected to work as part of a team, thus requiring good communication and presentation skills. Practical application of learning is a key skill to success. ENTRY REQUIREMENTS The minimum entry requirements for Level 3 applied courses apply. Cambridge Technical Introductory Diploma in Health & Social Care Level 3 There are a wide range of career opportunities across all sectors of Health, Social Care and Children & Young People. The course will equip you with the skills you need for either university or work, and is a first step towards a career in any of these areas. The subject is taught by enthusiastic and committed staff who bring out the best in the students. The O.C.R. Level 3 Diploma is a two-year course that consists of 1 mandatory unit (Effective Communication), plus a range of Optional units that provide for a combined total of 60 credits, and is broadly equivalent to one A Level. Students will be required to carry out two weeks of work experience in a related setting during this course. This course requires a commitment to the full two-year programme as final accreditation is not available until the end of year 13. METHODS OF ASSESSMENT Students are assessed through their portfolio of coursework taken under controlled assessment conditions in school - there are no examinations. SKILLS REQUIRED A keen, enthusiastic approach to independent study is required, as well as the ability to write coherently and indepth at Level 3. Students will also be expected to work as part of a team, thus requiring good communication and presentation skills. Practical application of learning is a key skill to success. A Level Geography - Edexcel Geography is offered at all schools across the Joint Sixth Form. Geography has a strong emphasis upon the study of contemporary issues, i.e. within the last 30 years. In particular, we look at the relationship of human populations to each other over space and time, and their relationship with their physical environment at a variety of scales from the local to the global. Geography also encourages the acquisition of a broad range of skills, many of which will be useful in later life. Students will be expected to present and analyse data collected during fieldwork and conclude on their own question. Students will work on this element throughout the duration of A Level Geography. This component is internally marked and externally moderated. Fieldwork: There will be a minimum of 4 days fieldwork done during the course. This may be local area studies or work done further-a-field. The fieldwork will comprise of both Physical and Human Geography and will be connected in part to the Independent Investigation unit. Studying Geography A Level could lead to a variety of careers or further study due to the wide range of skills and topics studied. Common careers include accountancy, cartography, conservation, environmental and hazard management (e.g. flooding, forestry), law, management consultancy, meteorology, oceanography, teaching, town planning, traffic management. Most universities offer Geography or related subjects such as environmental studies, at a variety of grades. This is a synoptic paper that will be based around core themes within the course. Students will need to evaluate an issue presented in a resource booklet within this written exam. The minimum entry requirements for level 3 academic study apply. In addition, a grade 6 in Geography GCSE is needed. Independent Investigation 20% of the qualification: This is an independent study based on fieldwork done during the course of the 2 years. It is done as a fieldwork report of approximately 3000-4000 words. Written fluency and the ability to analyse documents are important skills in this subject. It is essential to have an interest in Politics to study this subject, and all candidates are expected to keep themselves wellinformed about contemporary developments. What makes it different as an academic subject is the emphasis on debate, discussion and argument. The ability to look at different perspectives and critically analyse them is of fundamental importance. COURSE CONTENT The A -Level Government and Politics course develops a broad knowledge and understanding of the political system of the UK, including the local and European Union (EU) dimensions. It encourages candidates to develop their capacity for critical thinking, to see relationships between different aspects of government and politics and to perceive their field of study in a broader perspective, including some comparisons with other political systems The course also seeks to develop knowledge and understanding of relevant political concepts and processes. It should be paramount for all young people to be aware of how our government operates and to understand what it means to be an active, informed citizen outside the academic setting. A Level Government and Politics is the ideal subject to gain an understanding of the very important privileges that UK citizens enjoy. Government and Politics is also an exciting and intellectual challenge. ASSESSMENT PROCEDURES All units are 100% exam based. There is no coursework required for A Level Government and Politics. CAREER OPPORTUNITIES Government and Politics is useful in a wide variety of careers where written fluency in presenting an argument is required. The ability to think critically and reach reasoned conclusions is a skill used in many careers, for example Law, Banking, Journalism and Business. It is also a useful subject to have for many University courses. ENTRY REQUIREMENTS The minimum entry requirements for level 3 academic study apply. In addition, applicants require a Grade 6 in English. A Level History History is offered at all schools across the Joint Sixth Form. We all follow the AQA specification which offers a range of interesting and engaging historical topics for study. Carre’s Grammar School, Kesteven and Sleaford High School and St. George’s Academy each offer different courses focused on aspects of British, European and World History. All three courses aim to offer a combination of breadth and depth of study. AIMS OF THE COURSE •	Develop a coherent knowledge of the past; •	Develop and apply understanding of historical topics; •	Develop the techniques of critical thinking in a historical context; •	Develop critical awareness of a range of historical dimensions; •	Develop the ability to communicate historical arguments and conclusions clearly and succinctly. ASSESSMENT PROCEDURES A Level assessment is by final written examination and coursework (Non-examined Assessment). VISITS & TRIPS The History departments of all three schools aim to enliven the A Level course with relevant trips and lectures. Sometimes visits abroad are relevant, for example the residential trip to Auschwitz. When possible, students will also have the opportunity to participate in lectures and seminars run by leading historians and university lecturers. CAREER OPPORTUNITIES History is recognised as an invaluable A Level subject by both universities and employers. It can open many doors to a wide variety of career opportunities ranging from law to media, from business to education, from politics to police work. COURSE ENTRY REQUIREMENTS The minimum entry requirements for level 3 academic study apply. In addition, applicants require at least a Grade 6 in English. It is not necessary to have studied History at GCSE to take this subject at A Level but if a student has done so then a Grade 6 or above is expected. Non-examined Assessment: Totalitarianism in Germany 18481945 Written fluency and ability to analyse historical documents are essential skills in this subject. It is important to have an interest in studying History at this level as pupils are expected to read widely around the course. It will be imperative that you are a keen independent learner and are able to write coherent arguments and essays. There is a lot to learn over the two years but it is extremely rewarding, especially as it provides the core foundation for an understanding of criminal and civil law. The Legal System and Criminal Law: Candidates will study the civil and criminal court system, the legal professions and access to justice. This paper also provides an introduction to criminal liability through the study of offences against the person such as murder and offences against the person such as theft. Law Making and the Law of Tort: Candidates will study law making methods and their underpinning concepts. The paper also provides an introduction to civil liability and allows candidates to focus on the rules of tort, liability in negligence and civil remedies available. Further Law: This component, which will be studied in Year 13, allows candidates to extend their study of law by allowing them to look at how the law interacts with society, technology, morality and justice. Candidates will then have the opportunity to develop their legal knowledge further by opting to study contract law or human rights law. ASSESSMENT Even though external assessment through a number of exam papers will only be at the end of Year 13, there will be formal, internal exams at the end of Year 12 which will provide a robust assessment of how candidates are faring and the areas that they need to focus on in Year 13. CAREER OPPORTUNITIES A Level Law offers a fantastic grounding for studying Law at Degree level. If you are interested in a career in the police or legal professions, then the course provides opportunities to gain a real insight into what those professions are like and the qualifications you need to excel in them. COURSE ENTRY REQUIREMENTS The minimum entry requirements for level 3 academic study apply. In addition, applicants will be required to have achieved at least Grade 6 in English. You are recommended to have at least one essay based option at GCSE e.g. History. The course is an excellent accompaniment to History, Politics, Economics and Business but also offers creative students a balance to their courses too. A Level Philosophy, Ethics and Religion Have you ever wondered… Is it selfish to want to be happy? Do we exist after our bodies die? How do we know what is right? How did the universe begin? What sort of God, if any, exists? These important questions and many other related ones will be explored and used to challenge your thinking and evaluative skills. This course is intellectually demanding, exciting and a challenge. You get the chance to assess the ideas of the most influential thinkers and movements of the past 2,500 years. Expect few hard and fast answers, but to have your critical faculties vigorously exercised. Religious Studies is an A level really worth considering and makes an excellent combination with science, humanities and arts subjects. If you would like to sharpen your critical thinking, develop your analysis and evaluative skills and tease your brain, this course is for you. consideration of the dialogues between philosophy of religion, ethics and religion. Connections: Throughout the course students will be encouraged to develop their understanding of the connections between the two units. OPPORTUNITIES This subject would be particularly useful to anyone wishing to study medicine, law or enter the paramedical, law enforcement or teaching professions. Many Higher Education institutions look favourably upon this course due to the transferable thinking and reasoning skills which are developed, however, it is extremely useful if studying Criminology or Sociology. It is also useful in the following professions: Management: •	Leisure and Travel •	Marketing and Public Relations •	Broadcasting and Journalism •	Personnel Publishing: •	Banking and Accountancy •	Computing •	Civil Service •	International and Local Government. In fact the subject complements a wide range of subject combinations; not only in arts, humanities and social science, but also the sciences. Arguments for the existence of God; Evil and Suffering; Religious Experience; Religious language; miracles and the self, death and the afterlife. So where does Philosophy and Ethics get you in the end? The ethical theories of Natural Moral Law, Situation and Virtue Ethics; Issues of human and animal life and death (embryo research; cloning; abortion; euthanasia; capital punishment; the status and rights of animals; blood sports); Meta Ethics; Free will; conscience and a comparison of the views of Bentham and Kant. It is hoped that anyone who studies philosophy, ethics and religion will arrive at a better understanding of the subjects, whatever their reactions to them. Equally important they will have a better understanding of themselves and their world, in whatever direction this may lead them. A Level Psychology Students will be expected to: •	Demonstrate knowledge and understanding of psychological concepts, theories, research studies, research methods and ethical issues. •	Apply their new found knowledge in a range of contexts with analysis and evaluation. •	Evaluate the appropriateness and effectiveness of certain therapies and treatments. •	Develop competence and confidence in a variety of practical, mathematical and problem-solving skills. SKILLS REQUIRED There is a large quantity of new material to be delivered for a subject that most students will probably not have studied at GCSE before. Therefore it is important that students have a strong aptitude for independent learning and are able to deliver coherent arguments both verbally and in writing. ENTRY REQUIREMENT The minimum entry requirements for level 3 academic study apply. In addition, applicants will require a Grade 6 in English and a Grade 5 in Maths. A Level Sociology Sociology is the study of the development, structure and functioning of human society, including the study of social problems. Sociology requires open minds, critical thinkers, good organisation skills, and independent learners. The subject is constantly updating and as well as looking at 19th century sociologists, we also analyse up to date studies and current affairs, as well as students conducting their own research in topic 2. Assessment is by three external examinations at the end of Year 13. COURSE CONTENT 1. Families and Households This module includes studying the relationship of the family to social structure and social change; changing patterns of marriage, cohabitation, separation, divorce and the life course; gender roles; changing status of childhood; and demographic trends since 1900. 2. Education with Research Methods This module includes studying explanations of the role and purpose of education; sociological explanations of differential educational achievements of social groups by class, gender, and ethnicity; relationships and processes in schools such as subcultures and the hidden curriculum; educational policies; and sociological research methods. 4. Crime and Deviance with Research Methods and Theory This module includes studying theories of crime and deviance; explanations of the social distribution of crime and deviance trends; contemporary issues in the sociology of crime such as effects of globalisation and the mass media; sociological views of the criminal justice system, and the study of research methods and theory. Careers: A qualification in Sociology can lead to a number of careers, such as teaching, law, journalism, business, politics, public relations, social work, nursing, media work and science. Due to the fact that sociology is accepted as both an arts subject and a science subject, it has the advantage of being flexible in the work place. appreciation of their potential impact on society. It is envisaged that students will utilise the skills and knowledge of computing in one of three ways. Firstly, to provide a general understanding of the use of computer technology and systems, which will inform their decisions and support their participation in an increasingly technologically dependent society. Secondly, to provide the necessary skills and knowledge to seek employment in areas that utilise computing, where they may develop their skills and knowledge further through practical experience and training. Thirdly, students may choose to continue to develop their knowledge and understanding of computing through entry to higher education, where this qualification will provide a useful foundation for further study of computing or more specialist aspects of computing. PRIOR LEARNING Students will have been assessed in IT skills at Key Stage 3 and many will have followed a course in IT and Key Stage 4. Whilst not assuming the full knowledge and understanding of the subject at Key Stage 4, this course assumes that all students will have a basic understanding and knowledge of both the hardware and software of a standard, stand-alone computer system. COURSE ENTRY REQUIREMENTS The minimum entry requirements for level 3 academic study apply. In addition, applicants will need to have achieved at least Grade 6 in Maths. This qualification is designed for learners who want to study digital media concepts and production development. It allows them to specialise in either digital content for interactive media or moving image and audio production. Learners will develop specialist knowledge, skills and understanding in their chosen area, to prepare them for employment in the digital media sector. Students will have developed and been assessed in IT Digital Media skills at Key Stage 3 and many will have followed the Level 2 course in Digital Media at Key Stage 4. Whilst not assuming the full knowledge and understanding of the subject at Key Stage 4, this course assumes that all students will have a basic understanding and knowledge of a range of media products, audiences, pre-production and planning techniques and the range of hardware and software required to create a media product. An initial assessment will make sure learners are capable of reaching the required standards of the qualification they intend to work towards. There are two courses available: a single award called the Extended Certificate which is equivalent to one A Level and a double award called the Diploma which is equivalent to two A Levels. ASSESSMENT These qualifications are assessed by: â&#x20AC;˘ External examinations - two for single award three for double. â&#x20AC;˘ Internal assessment, where the subject teachers assess the learners work and OCR externally moderate it, organised at a time by the teacher. Learners will know their assessed grade within two days of the moderation visit. THE COURSE CONTENT There are a wide range of units. Some are mandatory and some are optional that the Academy selects. See the table below for units that are studied. CAREER / HIGHER EDUCATION OPPORTUNITIES Learners will develop specialist knowledge, skills and understanding in their chosen area, to prepare them for employment in the digital media sector in job roles such as digital layout artists, assistant animators, production runners or freelance crew or for a media-related apprenticeship. It could also provide a route to a higher education media-related programme such as Digital Media, Media Production, Media and Communications, Journalism and Media, Digital Marketing. ENTRY REQUIREMENTS The minimum entry requirements for level 3 applied study apply. A Level English Language AIMS OF THE COURSE: The A level in English Language encourages learners to develop their interest and enjoyment of English as they develop and apply their understanding of the concepts and methods appropriate for the analysis and study of language; explore data and examples of language in use; engage creatively and critically with a varied programme for the study of English; develop their skills as producers and interpreters of language and independently investigate language in use. The course is designed to foster learnersâ&#x20AC;&#x2122; independence as they explore English language in a variety of contexts. It provides learners with opportunities to develop a wide and deep knowledge of the systems of the English language and of issues relating to language and its uses. Throughout this course, learners are presented with opportunities to develop their own creativity, both in the ways they think about language and in the ways they develop expertise in using language to communicate in different ways. impact that technology has on our language. There is a coursework element, for which students will conduct and produce an investigation into an area of language use of their own choosing. SKILLS REQUIRED: Students must enjoy reading and be prepared to read a range of fiction and non-fiction texts. They must have strong analytical skills and enjoy class discussion. The ability to undertake independent study outside of the classroom is a prerequisite to success. Fluent written expression is also crucial. ASSESSMENT PROCEDURES: At A-level, English Language is mainly assessed by examination (three in total), alongside a language investigation coursework component in the second year. CAREER OPPORTUNITIES: The range of skills developed in the study of English Language are highly valued by employers, colleges and universities alike. English Language is a highly desirable A level for a range of degree subjects. An ability to communicate confidently and coherently in English is essential for entry to virtually all careers; specific careers that employ English skills include law, journalism, teaching and management consultancy. ENTRY REQUIREMENT: The minimum entry requirements for level 3 academic study apply. In addition, applicants will require at least a Grade 5 and 6 in their English GCSEs. A-level English Literature aims to equip students with higher level analytical and evaluative skills to discuss and write on a variety of fiction texts. Students will be introduced to key texts in the literary canon. We are part of an increasingly competitive global economy and so the range of skills developed in the study of English are highly valued by employers, colleges and universities alike. English Literature is one of the ‘preferred’ subject choices for Oxbridge arts/humanities courses. Success in English is essential for entry to virtually all careers; specific careers that employ English skills include law, journalism, teaching and management consultancy. COURSE CONTENT: Students read and study an exciting wide range of prose, poetry and plays with a focus on genre and narrative methods. There truly is something for everyone. They study both pre- and post-1900 texts including a Shakespearean tragedy. Texts are studied in relation to their social, historical and cultural contexts and a variety of different interpretations are considered during lessons. Throughout the course there is a focus on close analysis of the language and structure of texts. There is emphasis on sophisticated essay writing skills and written expression. SKILLS REQUIRED: Students must enjoy reading and be prepared to re-read the set texts a number of times. They must have strong analytical skills and enjoy class discussion. The ability to undertake independent study outside of the classroom is a prerequisite to success. Fluent written expression is also crucial. ASSESSMENT PROCEDURES: At A-level, English Literature is mainly assessed by examination, alongside a small coursework component in the second year. A Level English Language and Literature This AQA course combines the study of both language and literature. This A Level is an accessible and stimulating course in which you will engage creatively and independently with a variety of spoken, written and multi-modal texts. This specification offers exciting opportunities for students to develop their subject expertise by engaging critically and creatively with a wide range of texts. Using linguistic and literary concepts and methods, candidates analyse literary and non-literary texts in a range of modes and genres, in the process gaining insights into the nature of different discourses and ideas about creativity. Candidates develop skills as producers and interpreters of language by creating texts themselves and critically reflecting on their own processes of production. These skills are invaluable for both further study and future employment. ENTRY REQUIREMENT The minimum entry requirements for level 3 academic study apply. In addition, applicants will require at least a Grade 5 and 6 in their English GCSEs. At the root of all film studies is a recognition that films are made: they are constructed using a range of elements – cinematography, mise-en-scène, sound, editing and performance (the key elements of film form) - which are organised structurally in terms of narrative and often genre (the structural elements of film form). How filmmakers use these elements, frequently in complex and highly artistic ways, is a large part of what constitutes the formal study of film. Equally important is how we respond to the works filmmakers create, both as spectators and as learners studying relevant contexts, applying critical approaches and engaging in critical debate. FRAMEWORK FOR STUDYING FILM For this specification, these underpinning elements have been used to create a framework for studying film, which learners will be able to apply to all the films they explore: 1.	the key elements of film form – cinematography, mise-en-scène, editing, sound and performance, which have significance both individually and in combination with one another. 2.	the structural elements of film form – narrative, the processes of narration, including the role of the screenplay in providing narrative structure, and genre (where relevant to the film studied). 3.	how film creates meaning and generates response, including how it functions as a medium of representation. 4.	film as an aesthetic medium. 5.	the spectator and spectatorship. 6.	the social, cultural, political, historical and institutional, including production, contexts of film. 7.	critical approaches to studying film – arising from the idea of film as ‘constructed’ and including different conceptions of narrative, ideology and the idea of the ‘auteur’. 8.	key debates (the realist versus the expressive in film and the digital) and filmmakers’ theories of film. COMPONENT 1: AMERICAN FILM Written examination: 1 hours 35% of qualification This component assesses knowledge and understanding of three American films. Section A: Hollywood since the 1960s (two-film study) One two-part question, requiring reference to two Hollywood films, one produced between 1961 and 1990 and the other more recent. There is a choice of question in the second part. Section B: Contemporary American independent film One two-part question, requiring reference to one contemporary American independent film (produced after 2010). There is a choice of question in the second part. This component assesses knowledge and understanding of two British films (a comparative study) and one nonEnglish language European film. Section A: British film (comparative study) One two-part question, requiring reference to a pair of British films, one produced between 1930 and 1960 and the other more recent. There is a choice of question in the second part. Section B: Non-English Language European film One two-part question, requiring reference to one nonEnglish language European film. There is a choice of question in the second part. COMPONENT 3: PRODUCTION Non-exam assessment 30% of qualification This component assesses one production and its accompanying evaluative analysis. PRODUCTION Either an extract from a film highlighting narrative construction (2 to 3 minutes) Or a screenplay for an extract from a film highlighting narrative construction of between 1200 and 1400 words plus a digitally photographed storyboard of a key section from the screenplay (approximately 1 minutes’ screen time, corresponding to approximately 15 storyboard shots). EVALUATIVE ANALYSIS An evaluative analysis (1000-1250 words) of the production in comparison with other professionally produced films or screenplays. Examples of Hollywood films it is possible to study include: 1961-1990 •	Bonnie and Clyde (Penn, 1967), 15 •	One Flew Over the Cuckoo’s Nest (Forman, 1975), 15 •	Blade Runner (Scott, 1982), 15 •	Do the Right Thing (Lee, 1989), 15 Recent films •	No Country for Old Men (Coen Brothers, 2007), 15 •	Inception (Nolan, 2010), 12A •	Django Unchained (Tarantino, 2012), 18 •	Carol (Haynes, 2015), 15. ENTRY REQUIREMENT The minimum entry requirements for level 3 applied study apply. In addition, a Grade 5 in English is required. Students with a Grade 4 who demonstrate good literacy skills through the transition pack and initial assessment will also be considered. The course offers learners the opportunity to develop a thorough and in depth understanding of the key issues of media, using a comprehensive theoretical framework to facilitate analysis and debate. The study of a wide range of rich and stimulating media products is central to the course, offering opportunities for detailed analysis of how the media communicate meanings in a variety of forms. The aim is that students will engage with the dynamic relationships between media products, media industries and audiences. Students are encouraged to develop their awareness of emerging and evolving media. They are also encouraged to explore and pursue their own media interests. The media play a central role in contemporary culture, society and politics, shaping our perceptions of the world through the representations, ideas and points of view they offer. The media have real relevance and importance in our lives today, providing us with ways to communicate, and participate in key aspects of society. The media industries employ large numbers of people and the course aims to equip students with enhanced knowledge and understanding of contemporary media products. COURSE CONTENT Component 1: Media Products, Industries and Audiences Learners study media language and representation in relation to examples of media products from the following forms: •	music video and video games •	advertising and film marketing •	newspapers and radio news/current affairs programmes. Students will also develop the ability to use and reflect critically upon relevant theoretical approaches and theories. Component 2: Media Forms and Products In Depth In this component, learners build on the knowledge and understanding developed in Component 1. Learners study media language, representation, audiences and media industries in relation to: •	television •	magazines •	blogs and websites. Learners will explore and compare how relevant social, cultural and industry contexts influence the set products. METHOD OF ASSESSMENT Students will be assessed throughout the course using a combination of essays, internal examinations and practical tasks in line with the weighting of the specification. PROGRESSION AND CAREER OPPORTUNITIES The emphasis of the WJEC syllabus is upon the development of independent analytical and critical thinking skills which makes it particularly appropriate and relevant to candidates wanting to pursue Media Studies at higher academic levels. The course aims to provide a wide range of media competencies relevant to more specialised academic and vocational courses. In addition, knowledge of the media is increasingly valued and is becoming an important aspect of work in most institutions in an information society. Studying the media will equip students to develop an understanding of the relationship between consumers and producers which is therefore relevant to candidates entering employment across a wide range of industries and professions. ENTRY REQUIREMENTS The minimum entry requirements for level 3 applied study apply. In addition, a Grade 5 in English is required. Students with a Grade 4 who demonstrate good literacy skills through the transition pack and initial assessment will also be considered. Component 3 - Cross-Media Production (non-exam assessment) Learners create an individual cross-media production in two different forms in response to a choice of briefs set by WJEC. The forms that learners can work in include television, magazines, film marketing, music marketing and online options. A Level Mathematics AIMS OF THE COURSE •	To strengthen and extend existing knowledge and understanding of mathematics from GCSE as well as introduce and explore a variety of new concepts. •	To explore the various applications of mathematics and to be able to apply existing and new skills to modelled situations. •	To encourage students to be able to interpret a problem and be able to analyse these mathematically constructing a mathematical argument. algebraically. Some examples of topics to be covered are “kinematics”- the study of how things move, “dynamics”the study of why things accelerate, “statics”- the study of why things do not move. •	Statistics - You will recap and build upon the statistics elements of the GCSE course such as averages and tables in data as well as looking at various tests that you can carry out on data to look for correlation as well as being able to calculate probabilities from increasingly complex scenarios. Pupils wishing to study maths at A level should have a real love for the subject along with a strong work ethic. A potential student should be a strong mathematician that is capable of interpreting a problem and choosing an appropriate method to be able to work through to a solution. A potential student should also be able to formally structure a mathematical argument using equations and correct mathematical notation consistently and accurately. You will be assessed internally throughout the course to check that you are on track. The course is formally assessed through three examination papers that will be sat at the end of year 13. These examination papers will look at the three strands mentioned above however “Pure Mathematics” will count for 66.7% of your final grade with “Mechanics” and “Statistics” being equally weighted to make the remaining 33.3%. Employers and Universities both value an A level in mathematics. Even if you do not wish to study Mathematics at University it is referred to as a “facilitating subject” and will be welcomed on the ma jority of courses. ENTRY REQUIREMENTS The minimum entry requirements for level 3 academic study apply. In addition, a Grade 6 in GCSE Mathematics is required, however Grade 7+ is highly recommended. A Level in Further Mathematics AIMS OF THE COURSE In addition to the aims of the A Level Mathematics course, we also aim to give students wishing to study a very maths rich course at university an excellent foundation in the subject and to look at some of the topics that may appear at undergraduate level. PRE-REQUISITES Pupils wishing to study Further Maths at A level should have a real passion for the subject along with a strong work ethic. A potential student should be a very strong mathematician and be resilient in the face of increasingly complex subject matter. A potential student should naturally structure a mathematical argument using equations and correct mathematical notation consistently and accurately. The student should be aware that even if they found GCSE easy and are a capable mathematician they will be looking at concepts that will challenge them significantly, they will make mistakes and must not give up when the topics are difficult. You will receive 2 A levels in maths: A Level Mathematics and A Level Further Mathematics. •	Further Statistics In Further Statistics students explore in greater detail the content of A Level Mathematics but also extend their skills into new areas such as regression and Chi squared tests. •	Further Mechanics In Further Mechanics students develop further their understanding of kinematics, dynamics and statics from A Level Mathematics whilst also learning new topics such as impulse, momentum, work, energy and power. •	Discrete/Decision Mathematics Decision/Discrete Mathematics is a branch of mathematics which looks at modelling real life situations using graph theory and algorithms. Topics such as linear programming, route inspection and critical path analysis are explored in detail. ASSESSMENT You will be assessed internally throughout the course to check that you are on track. The course is formally assessed through three examination papers that will be sat at the end of year 13. The A level course is structured similarly to A Level Mathematics - Further Pure Mathematics, Further Mechanics and Further Statistics as well as the introduction of some “Discrete Mathematics”. Employers and Universities both value an A level in Further Mathematics. This could potentially make your first year of undergraduate easier as you will have some prior knowledge of some concepts that will be covered. •	Further Pure Mathematics In Further Pure Mathematics students extend and deepen their knowledge of proof, algebra, function, calculus and vectors studied in A Level Mathematics. They will also broaden their knowledge into new areas of study such as matrices, polar coordinates and complex numbers. ENTRY REQUIREMENTS The minimum entry requirements for level 3 academic study apply. In addition, a Grade 7+ in GCSE Mathematics is required. A Level French, Spanish & German AIMS OF THE COURSE This course has been designed to give you a profound understanding of your chosen language. Not only will you study the mechanics of the language in more detail, its grammar and vocabulary, but you will also learn about how people live and actively use language. COURSE CONTENT AND SKILLS REQUIRED You will: •	Develop and build on skills acquired at GCSE. •	Achieve a sound basis for future study. •	Gain an insight into another culture and society. In the first year you will study two main themes which are “Social issues and trends” and “Artistic culture”. Within these main themes you will look at several subthemes, including “Youth culture”, “The digital world” and “Festivals and traditions”. These topics will build on what you have studied at GCSE and will cover a wide range of interesting and engaging issues. The common thread amongst these is discovering how people speak at a personal level and what their individual views are. You will also study one text or one film from a prescribed list. In the second year, you will continue to study the theme of “Social issues and trends”, focussing this time on areas such as immigration and racism. You will also study the theme of “Political and artistic culture”, concentrating specifically on aspects of political life in the country of the language that you are studying. In addition, you will study either one text and one film or two texts, again from a prescribed list. Finally, there is an Individual Research Project which you undertake under the guidance of your teacher. As well as having time in lessons with your subject teachers, time is spent with a language assistant to develop your speaking skills further. We follow the AQA A Level specifications in all 3 languages. ASSESSMENT PROCEDURES The assessment for A level is in three parts. Firstly, there is a 2.5 hour listening, reading and writing examination, making up 50% of the marks. There is a writing examination, which is two hours in length and accounts for 20% of the marks. The third part of the examination is a speaking test which lasts 16-18 minutes and is also worth 30% of the total marks. CAREER OPPORTUNITIES In our ever expanding global economy, language skills are increasingly sought after by prospective employers in a range of spheres, from Medicine to Banking, from Politics to Information Technology. The ability to communicate effectively in a language other than your mother tongue will undoubtedly broaden your chosen career path and boost your earning potential. ENTRY REQUIREMENTS The minimum entry requirements for level 3 academic study apply. We also ask that you have studied the language you want to study at GCSE and have gained at least a grade ‘6’. By following the Edexcel syllabus of this course you will gain a deeper understanding of how theatre works and you will have opportunities to be a performer, a designer and an active audience member. In all of these areas you will gain skills and understanding that will prove to be valuable and rewarding in the future. A Level Drama & Theatre will be assessed through a combination of a 40% written exam and 60% internal assessment. COURSE CONTENT AND SKILLS REQUIRED Whatever your previous experience, being an A Level Drama and Theatre student will be thought provoking, challenging and exciting. Much of your time will be spent working practically with others. A lot of your enjoyment and achievement relies on your commitment to working as a member of a team. Regular attendance and punctuality are important. You will also need to work as an individual in researching material and putting your knowledge and understanding down on paper. You must be prepared to work independently, whether seeing theatre performances, carrying out research, learning lines, acquiring props or rehearsing for performance. You will be required to demonstrate a practical understanding of two complete performance texts and at least three key extracts from three other texts. You must study the work and methodologies of two theatre practitioners at A2. You will be required to participate in a minimum of two performances, one which is devised and one from a studied text. CAREER OPPORTUNITIES Students who have completed Drama and Theatre may move onto a variety of university courses or specialist performance schools. There are also career opportunities in all areas of the arts in addition to performance or teaching. ENTRY REQUIREMENTS The minimum entry requirements for level 3 academic study apply. Additionally you should have a Grade 6 or above in English and you will be required to take part in an audition. A Level Music Edexcel A Level Music is essential for those who wish to study Music further at University, Conservatoire, or on other Higher Education courses. It is equally useful for non-specialists who want to take a challenging and interesting A Level course. It is a highly regarded A Level as employers recognise the many disciplines, the creativity and the talents that this qualification represents. Qualifications in Music can lead to a variety of careers that do not just include teaching and performing. Students who gain qualifications in Music can go on to work in sound recording and technology, the media, composing, law, finance, events management, the armed forces and many more. SKILLS Music A Level focuses on the skills of performing, composing, listening and understanding. Students develop their skills as performers either as soloists or in ensembles. They will learn about harmony and various composition techniques, composing their own music. Students also develop their aural and analytical skills through studying a variety of pieces of music from 1600 to the present day. recital of at least 8 minutes. Unit 2: Composing: Students need to submit two compositions, one free composition and one based on a technical study. Unit 3: Musical Understanding: There are 6 Areas of Study: Vocal Music, Instrumental Music, Music for Film, Popular Music and Jazz, Fusions, and New Directions. Students study works by 18 composers (3 from each area of study) to prepare for the final exam. Students will have to answer essay questions on these set-works and also answer listening questions based on these works and other related works. Unit 3 is assessed through an end of year exam. The performing unit is internally assessed and then moderated by an external examiner. The composing unit is externally moderated. ENTRY REQUIREMENTS You should have Grade 6 or above at GCSE Music or at least a Merit at Level 2 BTEC Music. It is essential that those wishing to take the A Level Music course should be committed to learning a musical instrument. You should be able to play a musical instrument or sing at Grade 5 Level (although the actual Grade 5 qualification is not required). A good understanding of music theory and being able to read music notation is vital. If you have not taken GCSE Music or BTEC Music but have Grade 5 (Practical or Theory) then you may be considered for this course. The BTEC Level 3 Music courses are enjoyable, creative courses for students who wish to pursue a career or interest in music. The course aims to provide a practical understanding of the skills and knowledge needed for a career in the music industry. Lessons will be focused around practical performance work while developing understanding of related music theory and performance techniques. All units will be completed through a combination of practical and written work. Coursework is assessed internally, then externally moderated. COURSE CONTENT AND SKILLS REQUIRED The qualification includes a number of core and optional units. These include: • Working and Developing as a Musical Ensemble. • Solo Music Performance • Live Music Workshop • Pop Music in Practice The course includes a large amount of practical ensemble work meaning that effective communication skills and an ability to work productively as part of a group is essential. It is also necessary to be able to work independently and have good organisational skills. CAREER OPPORTUNITIES Students who have completed BTEC Level 3 in Music may move onto a variety of university courses or specialist music schools. There are also career opportunities in other areas of the arts in addition to Performance or teaching. ENTRY REQUIREMENTS The minimum entry requirements for level 3 applied study apply. In order to choose Level 3 BTEC in Music as an option you should have a strong interest in Music and enjoy performing as an individual and as part of a group. You should also be interested in learning music theory in order to enhance your performance and composition skills. You should have a grade 5 or above in GCSE Music or at least a Merit in Level 2 BTEC Music. You should also be able to play an instrument or sing at grade five level. If you have not taken GCSE or BTEC Music but have completed grade four theory then you may be considered for the course. Level 3 BTEC Performing Arts Single Option: Extended Certificate Double Option: Diploma AIMS OF THE COURSE The BTEC Level 3 Subsidiary Diploma in Performing Arts has been specifically designed to enable students to explore a wide range of performance elements. It is creative, varied and extremely enjoyable, offering an extensive range of options which include Musical Theatre, Contemporary Performance and Drama improvisation. The course aims to provide a practical understanding of the skills and knowledge needed for a career in the performing arts industry and will allow the students to develop a strong skills basis from which to progress. Course Content and Skills Required The qualification consists of two core units plus four optional units. These could include: • Performing to an Audience • Musical Theatre Performance • Devising Plays • Contemporary Theatre Performance • Film and TV Acting • Approaches to Directing Theatre • Singing Techniques and Performance The course includes a large amount of practical ensemble work meaning that effective communication skills and an ability to work productively as part of a group is essential. It is also necessary to be able to work independently and have good organisational skills. ASSESSMENT All units will be completed through a mixture of practical and written coursework. Coursework is assessed internally and moderated. CAREER OPPORTUNITIES Students who have completed BTEC Level 3 in Performing Arts may move onto a variety of university courses or specialist performing schools. There are also career opportunities in other areas of the arts in addition to performance or teaching. ENTRY REQUIREMENTS The minimum entry requirements for level 3 applied study apply. Much of your time will be spent working practically with others. A lot of your enjoyment and achievement depends on your commitment to working as a member of a team. Regular attendance and punctuality is essential. In order to opt for BTEC Level 3 Performing Arts you should have a grade 4 or above in GCSE Drama or Expressive Arts or at least a Merit in BTEC Performing Arts. Full Time Level 3 Performing Arts & Music We welcome students who would like to follow a full time course within the realms of Performance. AIMS OF THE COURSE It is possible to study completely within the Performing Arts and Music Departments at St George’s Academy. By following a mixture of double and single BTEC courses in Performing Arts and Music, you are able to create a full-time programme of study. Whether you are an actor, a dancer or a musician, the units will address the needs of the modern performing arts industry meaning that you will have the opportunity to develop the right skills for your chosen career. ASSESSMENT Assessment is through a mixture of written and practical work. Some of your work will be internally assessed by your teachers and some of your work will be assessed externally. CAREER OPPORTUNITIES Students who complete this course may move on to a variety of university courses or specialist performing schools. This course will also provide students with the necessary skills for a career in the Performing and Creative industry. ENTRY REQUIREMENTS Much of your time will be spent working practically with others. A lot of your enjoyment and achievement depends on your commitment to working as a member of a team. Excellent attendance and punctuality is essential. This course is ideal for all forms of performer; actor, dancer, singer, musician, as we will tailor the units to suit your individual skills. You should be able to demonstrate an aptitude and commitment to performance through an appropriate course studied at Key Stage 4 or through substantial extra-curricular commitment, such as playing an instrument. You will need to have met the entry requirements as detailed under BTEC Music and BTEC Performing Arts. A Level Biology Aims of the course are to encourage you, the candidate, to develop: • An enthusiasm for Biology • Practical skills alongside understanding of concepts and principles • An appropriate and relevant foundation of knowledge and skills for the study of Biology in Higher Education. Are you considering a career in Chemistry, Biochemistry, Pharmacology, Pharmacy, Medicine, Dentistry or Veterinary Medicine or Veterinary Science? If the answer is yes then you should be considering studying Biology. ASSESSMENT Whilst there is no coursework, practical work is assessed through the examinations at the end of the year. There are 12 required practicals to be completed for the A Level. These practicals will give you the skills and confidence needed to investigate the way living things behave and work. It will also ensure that if you choose to study a Biology-based subject at university, you’ll have the practical skills needed to carry out successful experiments in your degree. There are three exams at the end of the two years for A Level, all of which are two hours long. At least 15% of the marks for A Level Biology are based on what you learned in your practicals. CAREER OPPORTUNITIES As a subject on its own an A Level in Biology shows that you have a high level of scientific skill and understanding. Taken with other sciences, Biology A Level opens up many careers including Pharmaceutical industries; Pharmacy; Biochemistry; Medicine and related medical careers; Laboratory Technician; Environmental scientist. The minimum entry requirements for academic level 3 study apply. In addition: All students must have Grade 6+ in Maths owing to the considerable mathematical content of the new A Levels. It is strongly recommended also that students have attained Grade 7 or better in GCSE science subjects. The minimum entry requirements for Double Award Students are Grades 6 and 7 in Science. The minimum entry requirements for Triple Award Students are Grade 6 in Biology plus Grade 6 in one other science and performance in the exam components may be taken into account, given the 100% examined nature of the A Level. skills for study at H.E. level. Are you considering a career in Chemistry, Chemical engineering, Biochemistry, Pharmacology, Pharmacy, Medicine, Dentistry or Veterinary Medicine or Veterinary Science? If the answer is yes then you should be considering studying Chemistry. COURSE CONTENT - (AQA 7405) In year 12 candidates are given a solid grounding in the fundamentals of Chemistry. The specification introduces the chemical reactivity of atoms and their compounds and provides an understanding of structure and bonding. Chemical calculations include the study of amounts of substance. Physical chemistry topics cover energy changes and rates of reactions. The development and use of the periodic table is explained and organic chemical reaction mechanisms are introduced. In year 13 the specification further develops the concepts of chemistry introduced in year 12. Candidates study physical chemistry topics of kinetics, equilibria, thermodynamics and electrochemistry. Organic chemistry is extended to include spectroscopic techniques that determine molecular formulae and structures of organic compounds. The study of the periodic table continues, including the chemistry of transition elements. PRACTICAL SKILLS Chemistry is fundamentally an experimental subject. The course provides numerous opportunities to use practical experience linking theory to reality and equipping students with essential skills. Practical skills are assessed continuously throughout the course through 12 compulsory activities leading to a ‘practical endorsement’. There is no coursework component. CAREER OPPORTUNITIES As a subject on its own, A Level in Chemistry shows that you have a high level of scientific skill, numeracy and understanding. Taken with other sciences, Chemistry A Level opens up many careers including Pharmaceutical Industries; Pharmacy; Biochemistry; Medicine and related medical careers; Laboratory Technician; Environmental Scientist, Forensic Scientist, Chemical engineer, Materials Engineer, Oil and Petroleum Chemistry. COURSE ENTRY REQUIREMENTS The minimum entry requirements for academic level 3 study apply. A Level Electronics INTRODUCTION WJEC Eduqas A level Electronics provides a broad, coherent, satisfying and worthwhile course of study. It encourages learners to develop confidence in, and a positive attitude towards, electronics and to recognise its importance in their own lives and in today’s technological society. The WJEC Eduqas A level in Electronics will ensure that learners have the electronic and mathematical knowledge and electronic engineering skills to solve problems. This should enable learners to appreciate how many problems in society can be tackled by the application of the scientific ideas in the field of electronics using engineering processes. The scope and nature of the learner’s study should be coherent and practical. The practical work enables learners to see the theoretical knowledge contained in the specification in action and to gain greater understanding of the knowledge in a practical context. CAREER OPPORTUNITIES Past successful students have: (a)	entered Higher Education for courses in Electrical and Electronic Engineering, Mechanical Engineering, Civil Engineering, Computer Systems Engineering, Physics, Mathematics; (b)	obtained Modern Apprenticeships in Engineering (c)	joined the Armed Forces in Technical Trades and Commissioned Service. COURSE CONTENT & ASSESSMENT PROCEDURES The course will be assessed in summer 2019. The examinations will be a mix of short answer and extended answer questions, with some set in a practical context. Component 3: Extended system design and realisation tasks (Non-exam assessment, 20% of qualification) Task 1 A design and program task to create a microcontroller system programed in assembler language to solve an identified problem, need or opportunity. Task 2 A substantial integrated design and realisation task to create an electronic system to solve an identified problem, need or opportunity. AIMS Studying WJEC Eduqas A level Electronics enables learners to: •	develop essential scientific knowledge and conceptual understanding of the behaviour of electrical/electronic circuits •	develop and demonstrate a deep understanding of the nature, processes and methods of electronics as an engineering discipline •	develop competence and confidence in a variety of practical, mathematical and problem solving skills •	develop and learn how to apply observational, practical and problem-solving skills in the identification of needs in the world around them and the testing of proposed electronic solutions •	develop and learn how to apply creative and evaluative skills in the development and assessment of electronic systems to solve problems •	develop their interest in electronics, including developing an interest in further study and careers associated with electronics. COURSE ENTRY REQUIREMENTS The minimum entry requirements for level 3 applied study apply. Students will need a strong mathematics background and have achieved well at GCSE Physics. As a minimum requirement a Grade 5 in maths and a 4 in Physics is considered, but these should ideally be Grade 6 in maths and 5 in Physics. A Level Physics Pupils are entered for the EDEXCEL Physics A Level. Physics is traditionally seen as one of the most difficult A Level subjects. The jump from GCSE is significant. General and Practical Principles in Physics: Examined at the end of the Year 13 (40% of the final grade) This question paper draws on any part of the course and will contain questions which assess understanding of experimental methods and analytical techniques, including the core practicals. Science Practical Endorsement Pupils will also work towards the practical endorsements in lessons completing 16 set practical activities over the 2 years. This will lead to a Pass or Fail of the endorsement. This element is completely separate to the A Level and no marks from this contribute towards the final A Level grade. Pupils making a success of the course need to be able to work independently and to have a high level of mathematical ability. It is highly recommended that students also take A Level Mathematics as the progression from A Level Physics into Higher Education Physics Courses will require it. The minimum entry requirements for academic level 3 study apply. BTEC Level 3 Diploma BTEC Level 3 in Applied Science Extended Certificate in Applied Science The BTEC Level 3 Diploma is broadly equivalent to two A Levels. The course is designed for learners who want to continue their education through applied learning and who aim to progress to higher education, and ultimately to employment in the applied science sector. It is intended as part of a two-year programme, normally alongside a further Level 3 qualification. It may also offer apprenticeship or direct employment opportunities. The BTEC Level 3 Extended Certificate is broadly equivalent to one A Level. The course is designed for learners who are interested in learning about the science sector alongside other fields of study, with a view to progressing to a wide range of higher education courses, not necessarily in applied science. It may also offer apprenticeship or direct employment opportunities. This course serves to be taken as part of a programme of study that includes other appropriate BTEC Nationals or A Levels. CAREER OPPORTUNITIES This qualification is primarily designed to support progression to applied science and related employment after further study at university. However, it also supports learners progressing directly to employment, as the transferable knowledge, understanding and skills will give learners an advantage when applying for a range of entry-level industry training programmes and/or Higher Apprenticeships in areas such as laboratory technician, industrial technician, medical technician. ASSESSMENT Mandatory units; 1: Principles and Applications of Science I, Unit 3: Science Investigation Skills and Unit 5: Principles and Applications of Science II are either externally-set written examinations or written task/ experimental assessments. Mandatory units 2, 4, 6, and the designated two optional units are portfolio based assessments. ENTRY REQUIREMENTS The minimum entry requirements for level 3 applied study apply. In addition, Grade 4 or above in GCSE Science (single or combined) or Merit in Level 2 BTEC Applied Science study and Grade 4 in Mathematics is required. CAREER OPPORTUNITIES The requirements of the qualification will mean that learners develop the transferable and higher order skills which are valued by higher education providers and employers. For example, when studying Unit 3: Science Investigation Skills, learners will develop skills including how to plan investigations, collecting, analysing, and presenting data and communicating results which support some of the skills learners need to progress to higher education, employment, self-employment or training. ASSESSMENT Mandatory units; 1: Principles and Applications of Science I and Unit 3: Science Investigation Skills are externallyset written examination and written task assessments. Mandatory Unit 2: Practical Scientific Procedures and Techniques and the designated optional unit are portfolio based assessments. A Level Physical Education AIMS OF THE COURSE This course builds on the student’s experience from Key Stage 4 and GCSE to enhance their knowledge and increase their understanding of the factors that affect performance and participation in physical education. The qualification looks to equip the students with skills and knowledge required for higher education and the world of work. COURSE CONTENT AND SKILLS REQUIRED The specification offers students the opportunity to experience and develop an interest in a variety of roles in sport such as performer and coach. The content of the course will address current contemporary topics such as the impact of the use of ergogenic aids and technology and the increased commercialisation of sport. The specification also covers a variety of topics within the broad categories of sport psychology, physiology and biomechanics. Prior experience of coaching would offer a distinct advantage to students, as would an ability to play at least one sport to a high standard. 35% of A Level 2 hour written examination 105 marks Section A: Exercise physiology and biomechancis Section B: Sport psychology Section C: Sport and society and technology in sport Each section is worth 35 marks and includes multiple choice, short answer and extended writing questions. The course is perfect for anybody wishing to pursue a career in the sport or leisure industry and also provides a knowledge base for anybody wishing to study a sportrelated degree at university. Students will sit two written exams and will also be assessed as a performer or coach in a practical activity. •	•	•	•	•	•	•	50. 35% of A Level 2 hour written examination 105 marks Section A: Applied anatomy and physiology Section B: Skill acquisition Section C: Sport and society Each section is worth 35 marks and includes multiple choice, short answer and extended writing questions. BTEC Level 3 Subsidiary Diploma and Diploma in Sport BTEC Nationals are widely recognised by industry and higher education. They provide progression to the workplace either directly or via study at university. The BTEC Sport is a course allowing those with an interest in sport and exercise to really specialise in the area. It will give you the right skills to go to university or seek employment in the industry. These qualifications are developed in close collaboration with experts from professional bodies, businesses and universities. BTEC Sports courses embody a flexible, unit-based structure and focus on the development of the practical, interpersonal and thinking skills required to succeed in higher education and employment in the sports sector. The BTEC National in Sport will allow you to study in a practical or applied way and help you develop the knowledge and skills desired by employers and universities. There will be a mixture of traditional lessons, workshops, independent research, and practical. COURSE ENTRY REQUIREMENTS The minimum entry requirements for Level 3 applied programmes. This exciting new course aims to allow students who have an interest in sport and exercise to specialise in this area. The course focuses on the vocational and practical aspects of working within the sports sector. This course will give you the correct skills to go to university or gain employment within the sports industry. This is a modular course is available for you to study in “single” or “double” options. The OCR CTEC Level 3 Sport and Physical Activity programme will be completed over a two-year period. ASSESSMENT PROCEDURES The course is assessed through the submission of coursework, examinations and exam board assessed assignments. You can use the UCAS points you have gained to apply to Higher Education or chose to seek employment. All candidates are well prepared for applicants to study sports related degrees or seek employment. The minimum entry requirements for Level 3 applied programmes. 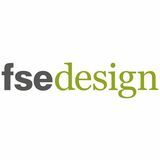 A Level Design and Technology: Product Design A Level Design & Technology: Product Design is delivered at the Robert Carre Trust and also St George’s Academy. At the Robert Carre Trust there will be the opportunity to follow a Resistant Materials focus and at St George’s Academy the focus will be on Conceptual Design and Graphics. The course principles, structure and assessment methods are the same. ASSESSMENT The course is divided into two components: 1. Principles of Design and Technology 2. Independent Design and Make Project. 50% of the qualification Students will be assessed under exam conditions at the end of the course in the following areas: •	Topic 1: Materials •	Topic 2: Performance characteristics of materials •	Topic 3: Processes and techniques •	Topic 4: Digital technologies •	Topic 5: Factors influencing the development of products •	Topic 6: Effects of technological developments •	Topic 7: Potential hazards and risk assessment •	Topic 8: Features of manufacturing industries •	Topic 9: Designing for maintenance and the cleaner environment •	Topic 10: Current legislation •	Topic 11: Information handling, Modelling and forward planning •	Topic 12: Further processes and techniques. INDEPENDENT STUDY TIME Students are expected to use their time outside of the classroom liaising with clients, undertaking primary research and progressing their projects. Design and Technology: Product Design students in Sixth Form are likely to use their free time to: •	Conduct wider reading around the subject to develop their wider awareness of Design and Technology. •	Discuss the progress of their Independent Projects to maximise work produced during lesson time. •	Use specialist software to become more adept in the use of 3D and 2D CAD. CAREERS A qualification in Design and Technology: Product Design can lead to a number of careers in Ergonomics, Engineering, Automotive Engineering, Mining, Teaching, Architecture all aspects of Design and Manufacture and many more. Due to the fact that Design and Technology has a crossover of Art, Mathematics and Science as a subject, it has the advantage of being flexible in the work place and students are also seen as flexible and able to multi task. ENTRY REQUIREMENTS The minimum entry requirements for level 3 applied study apply. Previous successful study of Design & Technology is also required as demonstrable by grade 6 in GCSE Graphics, Product Design or Resistant Materials. COMPONENT 1: PRINCIPLES OF DESIGN ENGINEERING EXAMINATION Written Examination: 1 hour 30 minutes The exam requires students to: •	Analyse existing products. •	Demonstrate their technical knowledge of materials, product functionality, manufacturing processes and techniques. •	Demonstrate their understanding of wider social, moral and environmental issues that impact on the design and manufacturing industries. COMPONENT 2: PROBLEM SOLVING IN DESIGN ENGINEERING Written Paper: 1 hour 45 minutes The exam requires students to: •	apply their knowledge, understanding and skills of designing and manufacturing prototypes and products. •	demonstrate their higher thinking skills to solve problems and evaluate situations and suitability of design solutions. Iterative Design Project independently and will progress through the following principles: •	AO1 - Explore: Identify, investigate and outline design possibilities to address needs and wants. •	AO2 - Create: Design and make prototypes that are fit for purpose. •	AO3 - Evaluate: Analyse and evaluate. ENTRY REQUIREMENTS The minimum entry requirements for level 3 academic study apply. In addition a Grade 6 in GCSE Mathematics would be an advantage. It would also be advantageous for students to have studied Design and Technology. A Level Design and Technology: Fashion and Textiles A level Fashion and Textiles is an interesting and exciting subject which allows the student to build upon the skills learned at GCSE, developing theoretical and practical knowledge of the fashion industry in the 21st Century. There is a balance between the practical assignments and the theoretical content. The Fashion and Textiles theory has been updated and is taught where ever possible through practical application. A Level examination board AQA Design and Technology Fashion and Textiles A Level is an inspiring, rigorous and practical subject. The qualification enables students to identify market needs for new products for the fashion, clothing and textiles industries, to initiate and develop design solutions, and to make and test prototypes and products. Students are encouraged to use creativity and imagination to develop and modify designs and make products that solve real and relevant problems. Students are encouraged to integrate and apply their understanding and knowledge from other subject areas studied during Key Stage 4, with a particular focus on science and mathematics. The qualification will consist of three units: Unit 1 and Unit 2: The Technical Principles of Fashion and Textiles. This is assessed by two written examination papers, which each constitute 25% of the qualification. Unit 3: Non-Examined Assessment. A substantial design, make and evaluate project that fully exemplifies their skills, knowledge and understanding of fashion and textiles. The project will allow students to demonstrate their abilities in the iterative processes of designing, making, testing, refining, improving and evaluating. This constitutes 50% of the qualification. AREAS OF STUDY INCLUDE: Technical knowledge and understanding. The characteristics and working properties of materials relevant to fashion design; fabric, component and product construction methods and manufacture; the applications of smart materials, e-textiles and technical textiles; digital design and manufacture; how skills and knowledge from other subject areas, including mathematics and science, inform decisions in design and the application or development of technology; the role of marketing, enterprise, innovation and collaboration in the development of products. Designing and making principles. Industrial and commercial practice including manufacturing processes, the use of ICT, pattern cutting, product manufacture and repair, production scales and quality control in relation to textiles and the fashion industry; pattern drafting, toiles and testing systems; product analysis and evaluation of prototypes and products; the environmental factors affecting the fashion and textile industry. CAREER OPPORTUNITIES Fashion Design; Fashion Engineering; Textile Design; Fashion Journalism; Retail management; Textiles Technologist; Pattern Cutter; Costume Design; Garment Technologist; Marketing; Quality Control; Interior Design; Fashion Forecasting; Fashion Buyer; Fashion Consultant. Be part of the globally influential fashion industry worth ÂŁ26 billion to the UK economy. ENTRY REQUIREMENTS The minimum entry requirement for level 3 academic study apply. In addition, applicants will require a grade 6 in GCSE Design and Technology Textiles. CTEC Level 3 Introductory Diploma in Textiles If you are a student who enjoys the practical side of textiles, then you will be pleased to know that we are looking to offer a vocational and more practical alternative to the A Level course. This course offers a much more ‘hands on’ approach and includes practical tasks relating to decorative and constructive textiles and garment-making. Alongside this students will undertake research and investigations to gain a detailed and thorough insight into the fashion industry. This will involve students covering 6 units which, over the course of the two years, will result in the award of a L3 qualification equivalent to one ‘A’ level. There is no written examination. Students can also study Textiles alongside both Art and Photography to gain either a double or a triple award. ENTRY REQUIREMENTS The minimum entry requirements for level 3 applied study apply. In addition, a Grade 6 in Textiles at GCSE is required. The CAA Bricklaying one-year course is a detailed and thorough course, designed to compete with an apprenticeship. As well as thorough and detailed practical assignments in terms of bricklaying, the course also covers all aspects of modern domestic building. Students not only learn all practical aspects, but the theory explains the whole building process from start to finish; integrating other trades, materials use and specification, programming, estimating, health and safety procedures and the reasoning behind each part of a structure, its use, positioning and respective properties and relevance to the build. Learners must have a thirst for knowledge, be independent enquirers, creative thinkers, reflective learners, team workers and be able to self manage their time. They will need a good work ethic. Students will require a reasonable level of dexterity, with an eye for detail, and be able to process and prioritise information. ASSESSMENT PROCEDURES Students will be assessed throughout the course with Tutor marked assignments and tasks. Completed course work is subject to both internal and external assessment. CAREER OPPORTUNITIES After completing this course, the students will have acquired the necessary knowledge and practical skills to work to a high standard in any aspect of the building industry. COURSE ENTRY REQUIREMENTS As this course is very popular, students are required to apply early to ensure consideration onto this course. All applicants will be required to complete an aptitude test and on successful completion they will be awarded a place on a first come first served basis. PROGRESSION: APPRENTICESHIPS OR LEVEL 3 STUDY Following the successful completion of the one year course, students are able to progress onto an apprenticeship through St George’s Academy or enrol onto our Level 3 Diploma course entitled Construction and the Built Environment. Level 2 Certificate and Level 3 Technical Diploma in Childcare and Education The Department for Childcare and Education offers students the opportunity to study at Level 2 and Level 3 for a qualification that leads directly into employment or on to a University course. Level 2 students study the Certificate in Early Years Care and Education. The course includes mandatory work experience where assessments take place. All work is internally assessed by qualified Assessors; assessment includes tasks set by CACHE, assignments and assessment of practical work in the placement. There are 2 controlled externally marked assessments as a mandatory part of the Level 3 course. Students have time in work placements to develop the practical skills necessary to work effectively with children, families and professionals, with Academy based studies to underpin the knowledge requirement for this very important phase of human development. Students will study theories supporting development, learn how to plan activities and lessons inline with current government guidelines and study Health and Safety, communication skills, and build up their own professional development portfolio. Learners can progress to the Level 3 Diploma in Childcare and Education or go into employment as a Nursery Assistant, Classroom Assistant, Pre-school Assistant or other related jobs. We expect students to set their own targets, be enthusiastic and committed to their chosen vocation, and to be ambassadors for the Academy. In return the department provide a supportive, dedicated atmosphere in which to work, where equality of opportunity and inclusive education are integral to our course. The CACHE Level 3 Technical Diploma in Childcare and Education will train students to the highest standards and will provide the licence to practise and the status of being an Early Years Educator. We have a proven record of success both in employment and university places for our students and welcome those who are looking for a career in working with children and young people. The qualification enables students to work with children aged 0-5 years and gain knowledge of children aged 5-7 years and includes collating two Portfolios of Professional Practice. In line with Level 2, all coursework is internally assessed by qualified Assessors; assessment includes tasks set by CACHE, assignments and assessment of practical work in the placement. The minimum entry requirements for level 3 applied study are required for the Level 3 Technical Diploma. There are no formal entry requirements for the level 2 qualification, other than enthusiasm and commitment to working with young children. BTEC Level 3 Diploma in Hospitality (with Catering) AIMS OF THE COURSE This level three course is a two-year course designed for those students who have an interest in the hospitality and catering industry, having studied hospitality, catering or a related food subject at level two and may wish to progress onto a higher level of study or to move into the Hospitality and Catering industry. COURSE CONTENT The course focuses on the skills and knowledge required by supervisors and managers in the hospitality industry. Practical cooking skills are studied on this course as well as study of the hospitality industry. The sector-specific studies will focus around the Level 3 BTEC Subsidiary Diploma in Hospitality (equivalent to one A Level) and, if demand is sufficient, they can also study for the level 3 BTEC Diploma in Hospitality (equivalent to two A Levels). SKILLS REQUIRED Good interpersonal skills and an interest in the hospitality and catering industry are essential. The ma jority of this course is assessed through coursework and practical assessment, but there will be some examined content. Although practical ability is vital, the ability to write coherently and undertake research will be equally important. CAREER OPPORTUNITIES Upon completion of this course, students could progress to further study at university or apply for an Apprenticeship in this area with an employer to continue a work based learning programme. Students may also wish to apply for a junior position in a catering or hospitality business. COURSE ENTRY REQUIREMENTS The minimum entry requirements for level 3 applied study apply. In addition, students must have studied a related food, catering or hospitality course at level two and have a keen interest in cooking and the hospitality industry. The ability to work with others, research and present work with creativity, as well as having good communication skills is also very important. NVQ/SVQ CAA Diploma Level 2 Site Carpentry The Level 2 Diploma in Site Carpentry is a one-year course is designed to develop the skills and knowledge of people, enabling them to work in the industry in their chosen craft. It has been specifically developed for delivery in a training environment using simulated conditions, and the test(s) are based on the learner showing what they can do as an individual through the completion of all the requirements of the qualification. general core units occupation specific units synoptic practical assignment multiple choice unit end tests online testing of knowledge. All the units of training must be completed by each learner. ALL outcomes must be achieved during the training programme. To gain the diploma, learners must achieve all units, the synoptic practical assignment and multiple choice unit tests. They must also pass the Evolve online test. Another important feature of the qualification is that it provides a progression route towards achieving a National Vocational Qualification (NVQ). BTEC Level 2 First Diploma in Public Services This is a one year course for those interested in the Public Services and the work that they undertake. The BTEC First Diploma gives you a qualification equivalent to 4 GCSEs at Grade 4+. BTEC First Diplomas are valued by employers and Further Education establishments. COURSE AIM The aim of the course is to enable each student to make an informed judgement on their personal suitability for a career within any of the public services. The course provides a detailed insight into the work undertaken by a wide range of public services and the different career opportunities that are available to you. It is specifically designed to give you the skills and knowledge which will help you apply for Public Service work and succeed in your chosen career. During the course you will examine a range of uniformed and non-uniformed public services. You will learn about the various levels of fitness required to join a public service and take part in practical leadership training. You will also study various subjects to enhance the contribution you can make to your future employment and can, for example, take entry tests with a number of public services. Visits are a regular part of the course and include work experience with the Armed Forces. First Diploma educational visits are normally to locations in the UK. There are no examinations and your work will be undertaken by written assignments and practical assessment. WHERE COULD IT LEAD? Students could go into careers such as the Emergency Services, the Armed Forces, HM Prison Service or other Public Services. Students who gain a Distinction and gain GCSE grade 4+ in Maths and/or English will be able to progress to study the 2 year BTEC Level 3 Extended Diploma in Public Services. COURSE ETHOS AND VALUES Being a Public Servant demands dedication, determination and courage. This course is both physically and intellectually demanding. A great deal of emphasis is placed on your own personal standards and moral values and you should be aware that the course will really stretch and challenge you. Based at St George’s Academy, Sleaford Campus, our Public Service Students take a full and active role in both Academy life and the local community. If you join this course you will be required to take part in ALL aspects of the curriculum, which includes mandatory trips, visits and community based projects. This course is not for everyone, but if you’ve got what it takes and can face up to the challenge, it could be just what you are looking for. Both the BTEC Level 3 Diploma and Extended Diploma in Public Services are designed to equip learners with the knowledge, understanding and skills required for a successful career in any of the uniformed or nonuniformed Public Services. All the units are assessed by course work. Assessment methods could include essays, projects, presentations and attendance at practical events such as residential experiences and other activities. Our students also use training opportunities provided by the emergency services and armed forces. Public Services are at the very heart of our community, and those who pursue a career within one of the public services will be fulfilling a vital role in society. The BTEC Level 3 Diploma and Extended Diploma in Public Services has a very practical emphasis. On completion, learners will have taken an important first step onto the ladder of a well-structured and rewarding career with one of the largest employment sectors in the country. COURSE CONTENT The BTEC Level 3 Diploma and Extended Diploma courses are completed over 2 years. The Diploma (equivalent to two A Levels) enables students to undertake other qualifications alongside. The Extended Diploma (equivalent to three A Levels) is a full time course. CAREER OPPORTUNITIES You may wish to use the qualification and UCAS points to gain entry into a university. Students who go to university do not necessarily need to study a public service related degree. Others may use the qualification in order to enter specialist areas of employment, obtain a commission in the Armed Services or seek direct employment in the public service sector. COURSE ENTRY REQUIREMENTS The minimum entry requirements for level 3 applied study apply. Students should also have achieved at least Grade 4 in maths. IMIAL Level 2 Diploma in Light Vehicle Maintenance and Repair Principles (VRQ) IMI Awards is the leading awarding organisation to the retail motor industry. We offer an unrivalled range of motor industry qualifications that demonstrate skills and competence, the foundation of a successful career. KNOWLEDGE QUALIFICATIONS (VRQS/ PRINCIPLES) These are nationally-recognised, vocationally-related qualifications (VRQs) which provide the essential knowledge to do a job. Many Level 2/3 VRQs are an essential component of the Sector Skills Council’s Apprenticeship framework. This qualification is intended as a Substantial Vocational Qualification at Level 2 and has been developed for schools and colleges to deliver to learners aged in the 16-19 age group, either on a full or part-time basis. This qualification is for learners who have a keen interest in the light vehicle maintenance and repair industry and are looking to progress into employment within this industry. There are no formal entry requirements for this qualification and learners are not expected to have any prior knowledge or experience, however an interest in the subject area is advisable. The content level of this qualification would be similar to the study required for GCSE grades A*- C.
WHAT DOES THIS QUALIFICATION COVER? The content of this qualification has been designed to develop the learners understanding of the light vehicle maintenance and repair industry. It will develop the specialist technical knowledge and practical skills required to work in this industry alongside the development of wider transferable skills. The mandatory units cover essential knowledge and skills such as health & safety supporting job roles and materials, fabrication, tools and measuring devices. These mandatory units develop the transferable skills required to work within a number of job roles within the retail motor industry. The mandatory specialist units focus on specific technical knowledge and practical skills the learner will require to work in the light vehicle maintenance and repair industry including routine light vehicle maintenance, the removal and replacement of light vehicle engine systems and components, light vehicle electrical systems and components, light vehicle chassis units and components and light vehicle transmission systems and components. Employability and Personal Skills OVERVIEW This course is designed for those students who enter Sixth Form needing a year to prepare them for Level 3 study or employment. The tailored programme has been developed to ensure that the knowledge, skills and understanding they provide are relevant, current and useful for both learners and potential employers. Students have the opportunity to achieve a nationally recognised Level 2 qualification. On completion students may wish to progress to a related general and/or vocational qualifications, or enter employment in a particular vocational sector. COURSE CONTENT The key component necessary to make the most of this opportunity is the desire to become a confident team contributor in the world of work. There may also be additional enrichment opportunities to acquire desirable qualifications such as First Aid certification and Basic Food Hygiene Awards. ASSESSMENT Skills will be assessed via coursework and observation. ENTRY REQUIREMENTS There are no formal entry requirements other than a real desire to develop as an effective young adult who has the skills to succeed.